A group of tenants gathered on Wednesday to protest what they're calling "slum-like" living conditions. They live in an apartment complex in Spryfield, which they say is plagued with bed bugs and mold, among other issues. The buildings are owned by MetCap Living, a company based and operated out of Toronto, Ontario. It owns apartment complexes in British Columbia, New Brunswick, Ontario, Quebec and Nova Scotia. 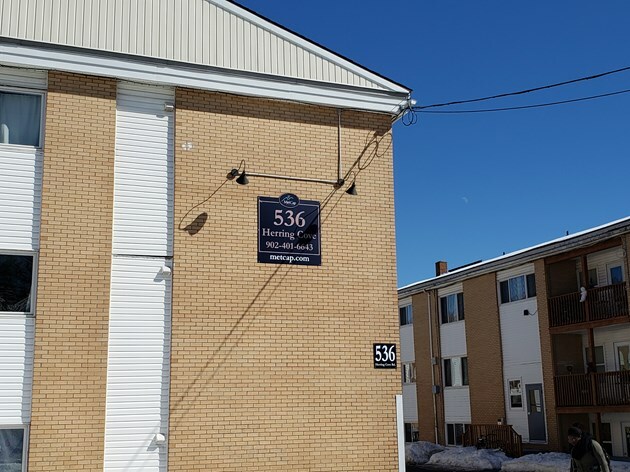 Fabian Donovan, a tenant at a MetCap-owned apartment building on Herring Cove Road, told NEWS 95.7 his living conditions are sub-standard. "They're very, very poor," he said. "Everytime you turn around, there's bed bugs. We fought bed bugs for months now." Donovan says he's hopeful the landlords will work with tenants to help address their concerns. The group ACORN Canada submitted a list of demands to MetCap, which includes requests for repairs, cleanliness, health, and safety. MetCap has not yet responded to NEWS 95.7/HalifaxToday.ca's request for a comment.